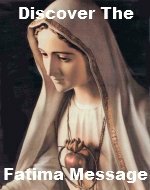 The Everyday Rosary Blog is our mini-journal about the Rosary. lets you know when we send out the Everyday Rosary e-zine (in case you don't like to give your e-mail address, or if your ISP tends to over-filter causing you to miss an issue). To subscribe to our Rosary Blog (no e-mail necessary), right-click on the orange RSS button (see bottom buttons to the left) and then paste the URL into your RSS reader. 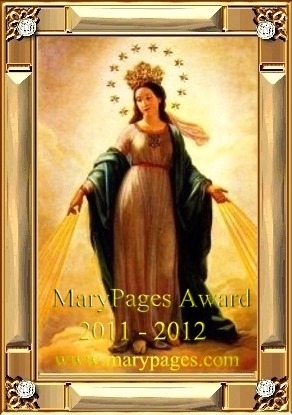 Become Part Of This Rosary Blog! Simply tell your inspirational Rosary story, ask a question about the Rosary or request prayers. 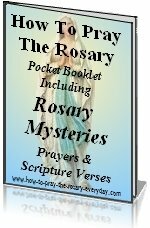 Your contributions become part of this blog (which shows the site's most recent pages) and a permanent part of How-to-pray-the-rosary-everyday.com for others to read! Once you become a part of this Rosary community, you will have the satisfaction of knowing that you will be connected to people all over the world, whom also love the Rosary prayer. Continue reading "Family Needs Prayers For Multitude of Issues"
Continue reading "Health of Family"
Please pray for my family. My brother especially who is suffering with addiction and anger issues. Continue reading "Prayers For My Family"
Can Protestants Pray the Rosary? Continue reading "Can Protestants Pray the Rosary?" Continue reading "Carrying Our Corsses"
Continue reading "The Appearance of Mama Mary In My Dreams"
Continue reading "Catholic Seymour the Convert"
Continue reading "The first Sorrowful Mystery of the Holy Rosary"
Continue reading "Magnitude Of This Great Moment"
Continue reading "How to Pray the Rosary Everyday to find peace and serenity in your life..."
Continue reading "Pilgrimage of a lifetime!" Continue reading "The trial and the scourging"